Separated from her family, when deported to Auschwitz. Was she able to start a new family on her own? Hinda Jakubowicz was born in 1920 in Lodz, Poland and grew up in a large Jewish family. 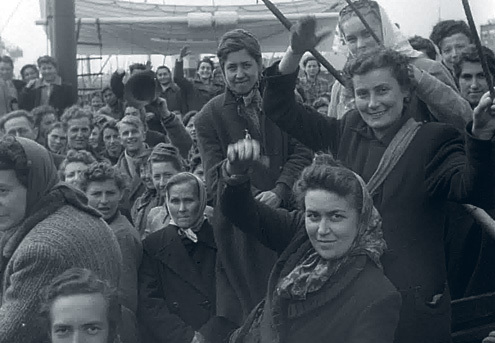 She was separated from the rest of her family when they were deported to Auschwitz. 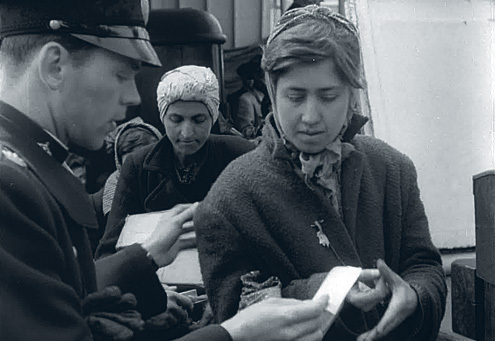 Hinda was sent to the Ravensbrück camp and was rescued to Malmö by The White Buses, on April 28, 1945. She had the company of her close friend Lola Sobotka. Both Hinda and Lola moved to the small town Grangärde, in Dalarna, Sweden, where they started new lifes. Hinda met a Swedish man and built a family. She gave birth to Mauritz and Rosa-Maria. If you can help us with further information about Hinda Jakubowicz we will be very happy to hear from you. Please write an email to our researcher Sebastian. 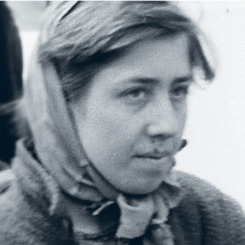 Hinda Jakubowicz stepping off the ferry in Malmö on April 28, 1945. On the ferry in Malmö harbour. Standing in the middle of the picture. 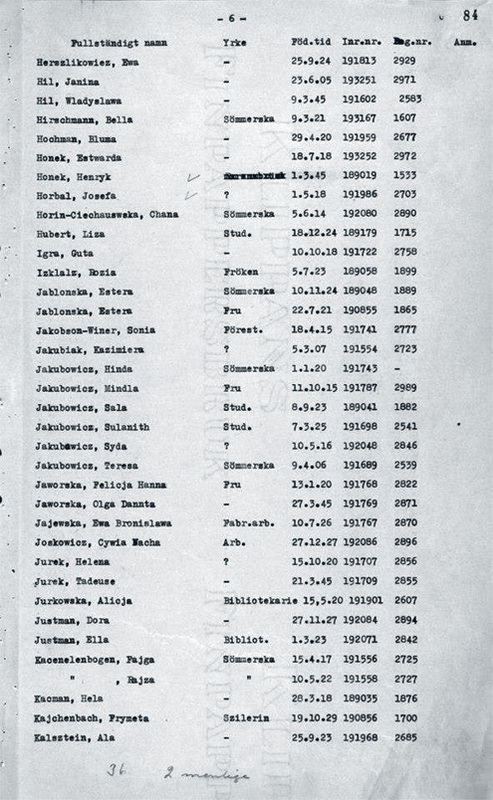 Passenger list from the ferryride from Copenhagen to Malmö on April 28, 1945.